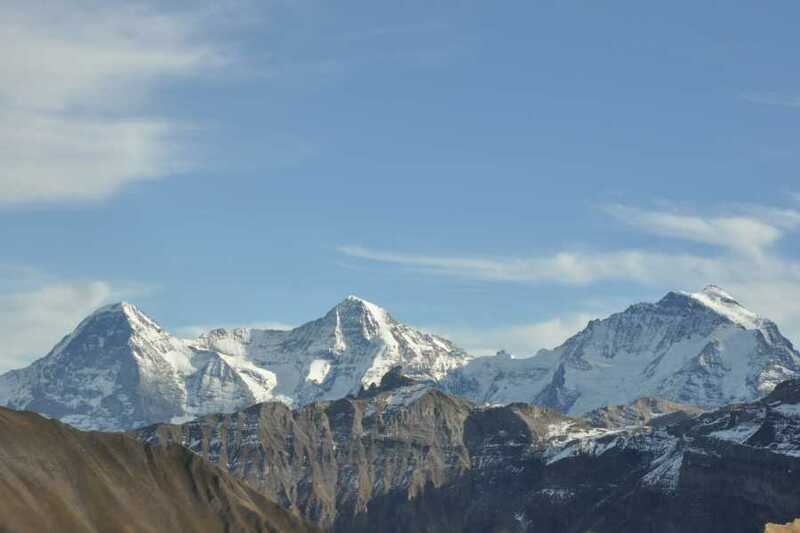 This is the ultimate combination of the best that both Switzerland and France have to offer in the way of alpine scenery; Mont Blanc, Europe's highest mountain; Matterhorn, Europe's best known mountain and the stunning trio, Eiger, Mönch and Jungfrau. 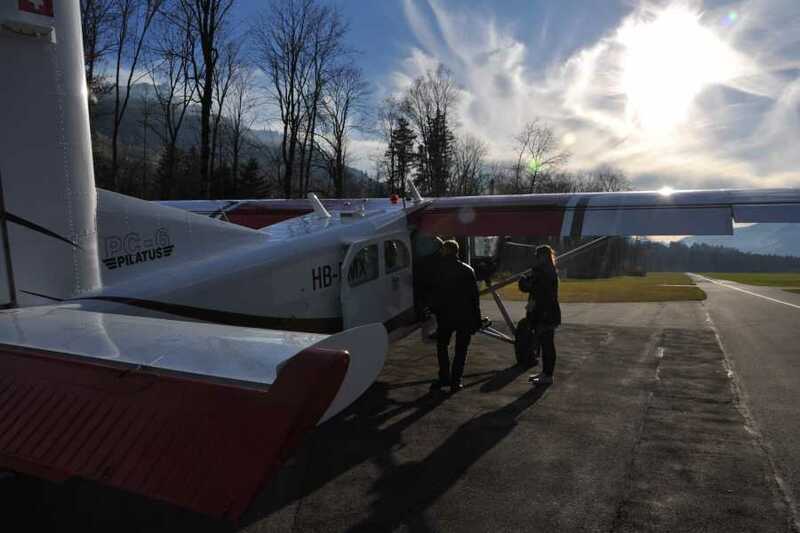 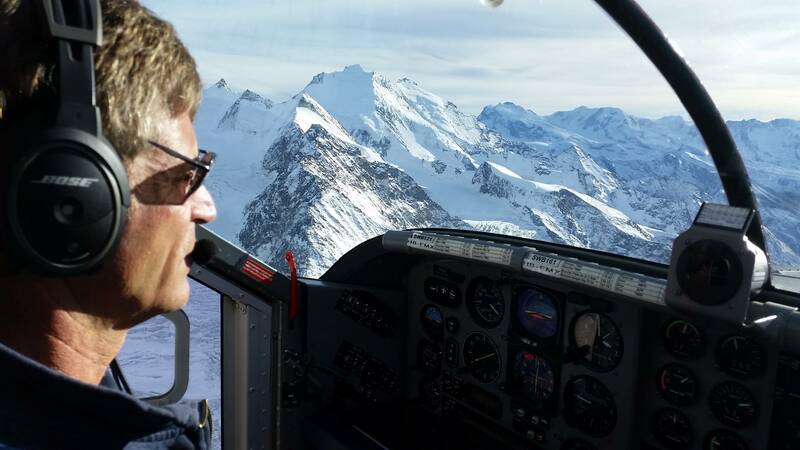 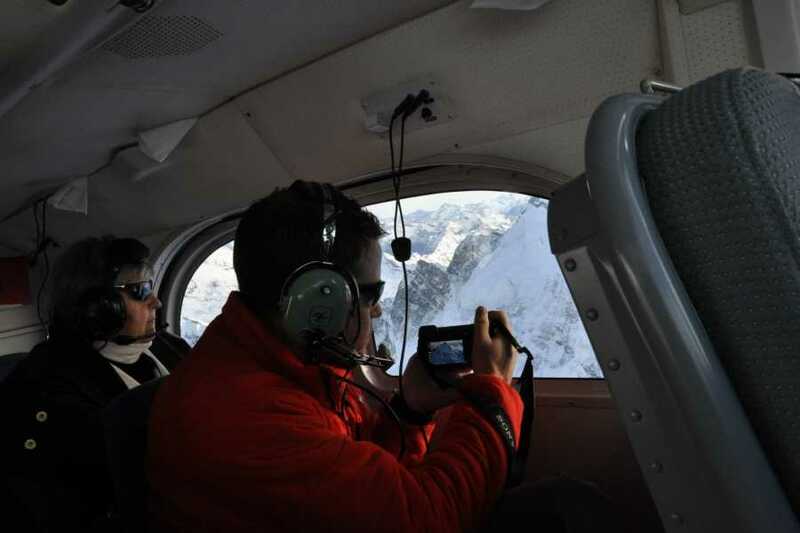 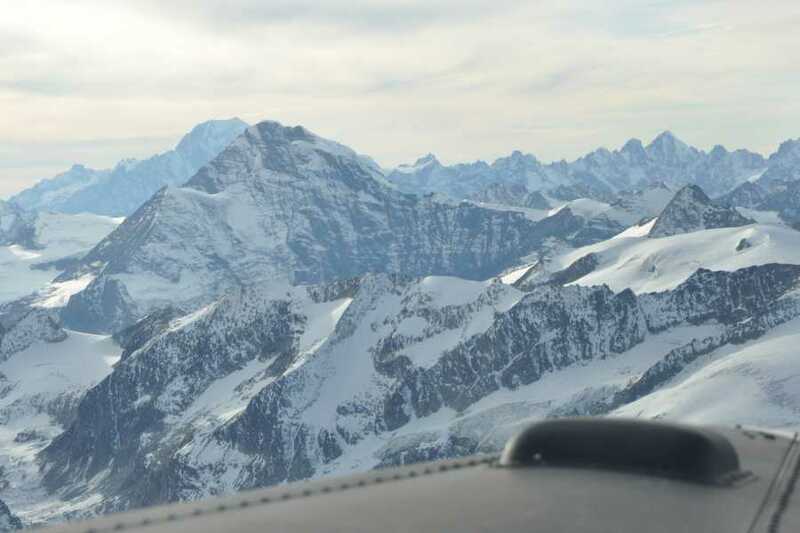 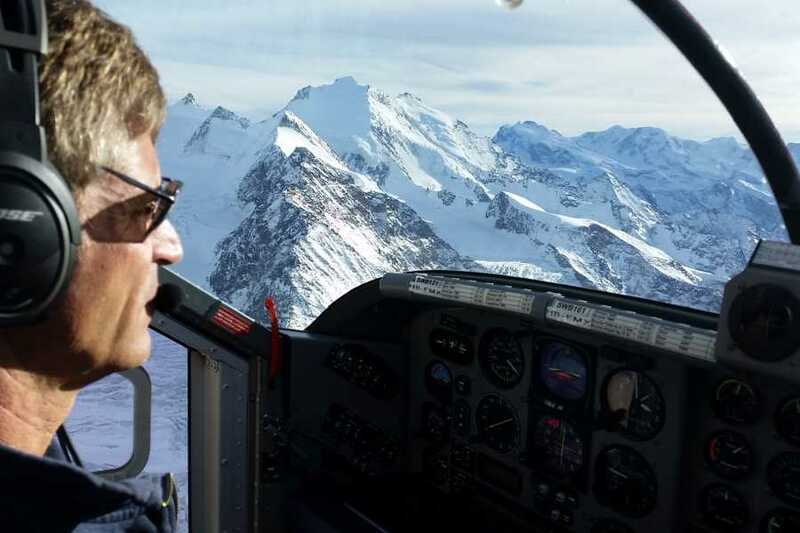 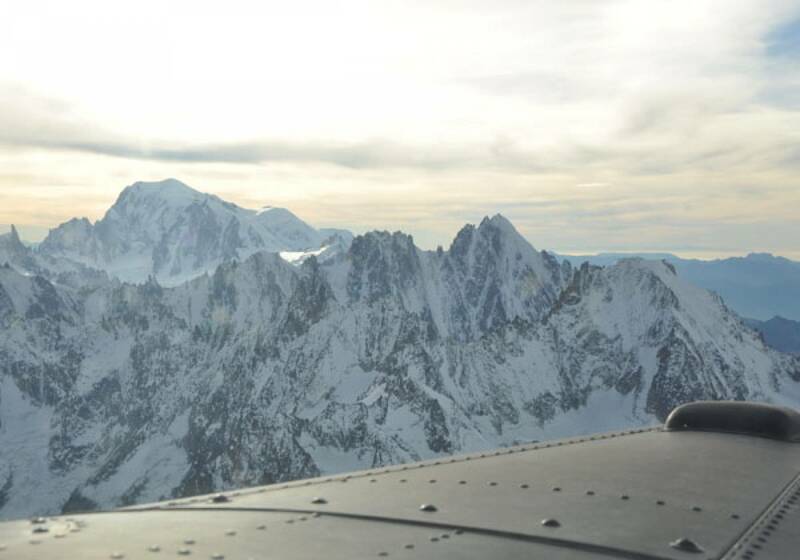 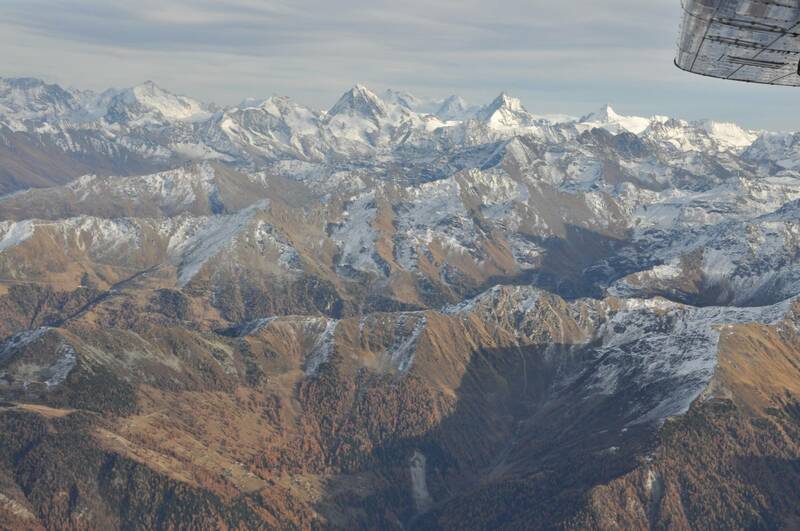 After take-off we you will fly along the Simmental valley to Martigny and the area around Chamonix. 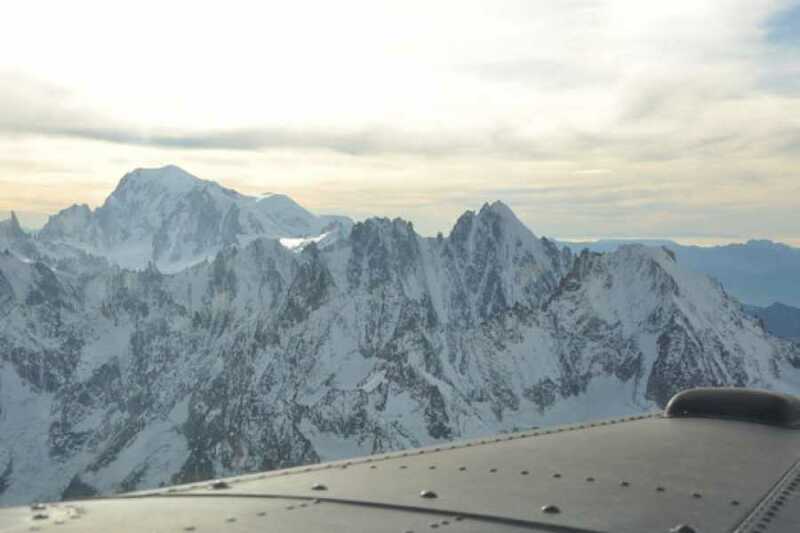 Here you will circle Europe's highest mountain, Mont Blanc, at approximately 13 000 ft (4000 m). 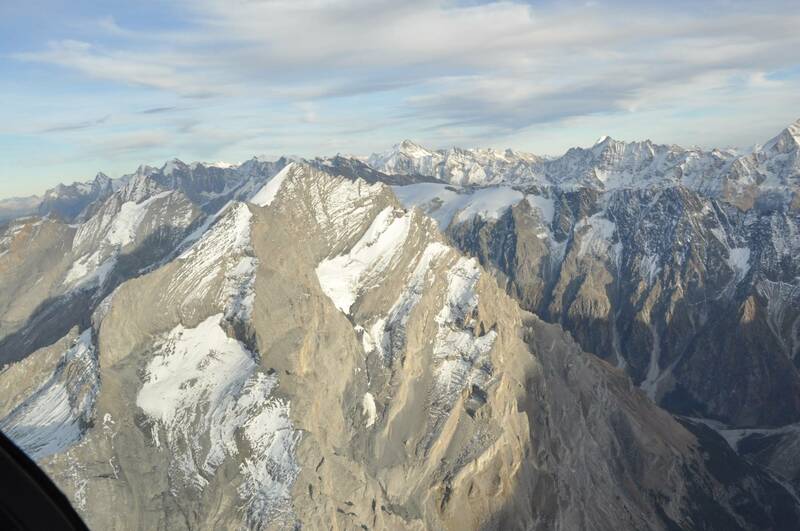 If you are lucky you may even see mountain climbers attempting to reach the summit of this impressive peak. 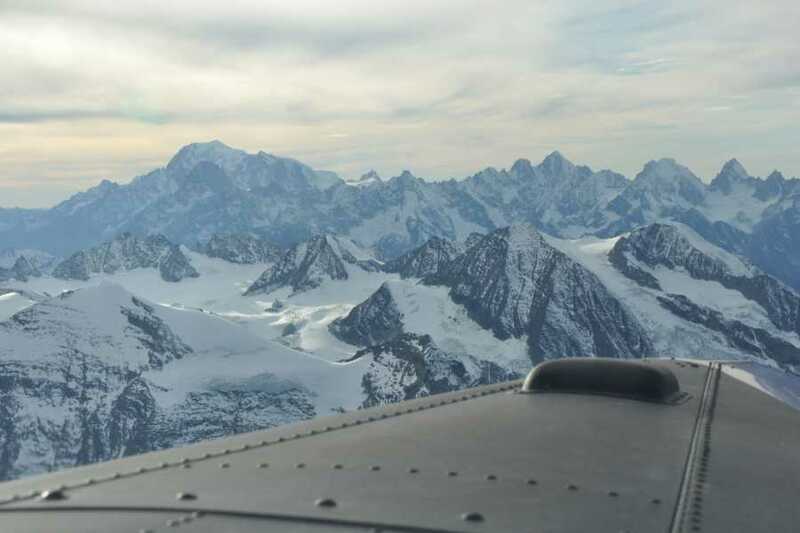 Still overawed by the Mont Blanc experience the flight continues on to the Matterhorn and the enchanting sight of its unique pyramid shape. We then cross over from the Canton of Valais into the Bernese Oberland where you can view the panorama of the Eiger, Mönch and Jungfrau, before returning to Reichenbach.